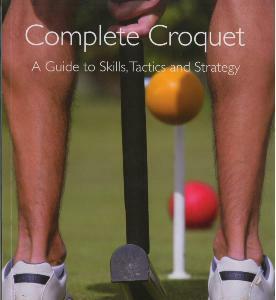 Aimed at the aspiring club Association Croquet player, this new book looks in detail at improving break play, moving from the elimination of basic errors, through handicap strategy, to the finer points of the advanced game. It also looks in detail at the break, peeling, advanced leaves, openings and advanced techniques, with a wealth of illustrations and diagrams. James Hawkins is an accredited Croquet Association Coach, referee, and tournament manager. Softback, 173 pages with colour diagrams and photographs of competition play.